Many people that become managers or supervisors struggle with the transition of going from being a follower to becoming a leader. Unfortunately, many of these same people who are very good at what they do fail miserably when they are put into a position of leading others. This is because being a leader has a different perspective in accomplishing what needs to be done. What are some basic principles in the Bible that provide direction on how to be a good leader and not a follower? What is a leader and a follower? Simply stated, a leader is someone who leads others. Notice, it is someone who “leads” others. This is very telling in how a leader should operate. On the other hand, if a leader leads, then the people they lead should be willing to follow. Unfortunately, this is not always the case. However, we all know people who will follow anyone that tells them what they want to hear (Ephesians 4:11-14; Ephesians 5:6-8; 2 Corinthians 11:12-15; 2 Peter 2:12-15). With this in mind, being a follower is not a bad thing unless the leader being followed is not approved of God in how they lead. …a good leader inspires others to accomplish the mission and has no need to use intimidation. What should be the relationship between a leader and a follower? Let every soul be subject unto the higher powers. For there is no power but of God: the powers that be are ordained of God. Whosoever therefore resisteth the power, resisteth the ordinance of God: and they that resist shall receive to themselves damnation. For rulers are not a terror to good works, but to the evil. Wilt thou then not be afraid of the power? do that which is good, and thou shalt have praise of the same: For he is the minister of God to thee for good. But if thou do that which is evil, be afraid; for he beareth not the sword in vain: for he is the minister of God, a revenger to execute wrath upon him that doeth evil. Wherefore ye must needs be subject, not only for wrath, but also for conscience sake. For this cause pay ye tribute also: for they are God’s ministers, attending continually upon this very thing. Render therefore to all their dues: tribute to whom tribute is due; custom to whom custom; fear to whom fear; honour to whom honour. Every person is first a follower (Romans 13:1). It does not matter who we are, we are to be subject to higher powers. Even if someone were to be elected the leader of the world, this person is always subject to the power and authority of God because God is all powerful and knowing (Psalms 147:5; Jeremiah 32:17; Hebrews 13:7; Hebrews 13:17). Those that resist God’s power and empowerment will be dealt with by God (Romans 13:2). If God establishes and empowers leaders, any resistance of what God has established and empowers is resistance to God. Therefore, we are called to submit to their Godly leadership and authority (1 Peter 2:13-15). 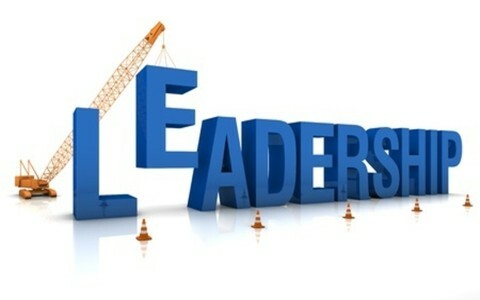 Leaders are ordained by God for the greater good of the people (Romans 13:3-4). God has ordained and empowered leaders to put down evil and promote good. In doing so, he is a minister of God for the good of the people. At the same time, a leader is the authority that deals with those intent on doing evil. For this reason, a leader establishes the environment where their followers are able to fulfill what God has called them to do while also removing anything or anyone that would cause them harm (2 Chronicles 19:6-7; Psalms 82:2-4; 2 Peter 3:12-15; 1 Timothy 2:1-3). Followers should show respect and honor to leaders (Romans 13:5-7). No matter who is in leadership, we are commanded to respect them and show them honor. This means we must be good citizens and not speak evil of our leaders (2 Peter 2:10-15; Jude 1:8-11). A follower’s attitude should be one that honors and respects our leaders out of love for God and living in holiness (Ephesians 6:5-9; Colossians 3:22-25). Many people confuse respecting and honoring leaders with submitting to commands to do evil. The Bible is very clear that we can respect and honor our leaders, but submission always uses the standard of God’s Word to determine if the command is to be followed. We see this illustrated with Peter and John when they were commanded not to preach the gospel (Acts 4:13-21; Acts 5:17-33). We also see this illustrated with Daniel when he refused to defile his flesh (Daniel 1) and when he disobeyed a command not to worship God (Daniel 6). In each of these cases the orders of the leader were not valid because they directly disobeyed God. Finally, this also illustrates another point to be considered. A follower that refuses to follow ungodly instructions is no longer just a follower. Instead, they are demonstrating a fundamental principle of leadership, being faithful to God and demonstrating it to those you lead. In doing so, a good leader inspires others to accomplish the mission and has no need to use intimidation, except as an ordained leader by God to do what needs to be done to protect others and God’s mission. A leader is someone who leads others. The people they lead should be willing to follow. Every person is first a follower. God alone establishes and empowers all leaders and followers. Those that resist God’s power and empowerment will be dealt with by God. Leaders are ordained by God for the greater good of the people. Followers should show respect and honor to leaders. Resources – Scripture quotations are from The Holy Bible, King James Version. Williams, Michael L., A man among men: Leading like Christ in an anti-Christ world. Albuquerque, NM: Wisdom4Today, 2016. Next post: Why Did David Take 5 Stones Against Goliath?